Acadiate is a self marketing platform that helps you capture, reflect, and privately share your value online. No credit card required for Acadiate Basic. Marketing your talent online effectively shouldn't mean you have to learn how to put together a website. Acadiate is your self marketing platform. You have total ownership over your account, even if you created your account through your school. Privacy and transparency are at the core of Acadiate. The only way anyone can see anything you've created in your account is if you explicitly share it. Acadiate shows you how to leverage your education and work to win more opportunities. Use Acadiate in the classroom, for job applications & school applications, scholarships, and more. Talent marketing is different for everyone. Acadiate will help you find your own unique voice and approach. Getting a great job is hard. Acadiate helps you get up to speed fast. Getting a job hard, getting a great job is even harder. Acadiate gives you a smart and effective approach to landing your dream job. 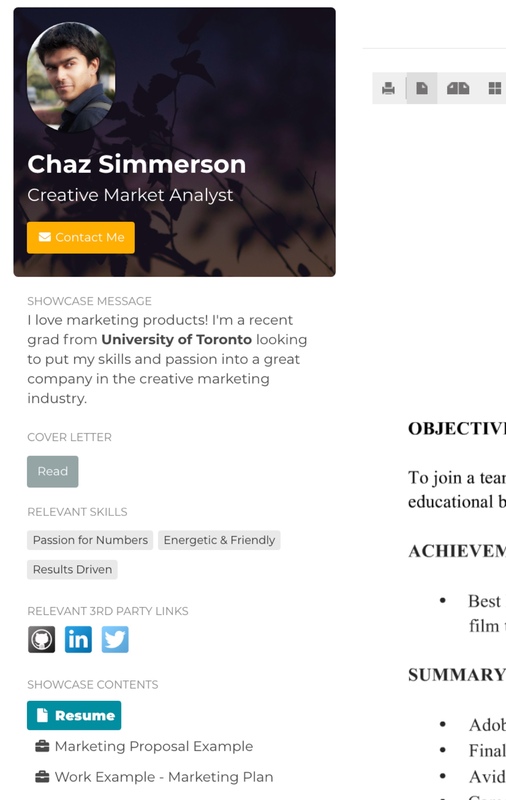 Anyone can put together an attractive resume, go above and beyond. Acadiate helps you go beyond the resume to create applications that recruiters rate 2.8X higher. Include media, supporting documents, links, references and more. The urgency for improved talent marketing is different for everyone. 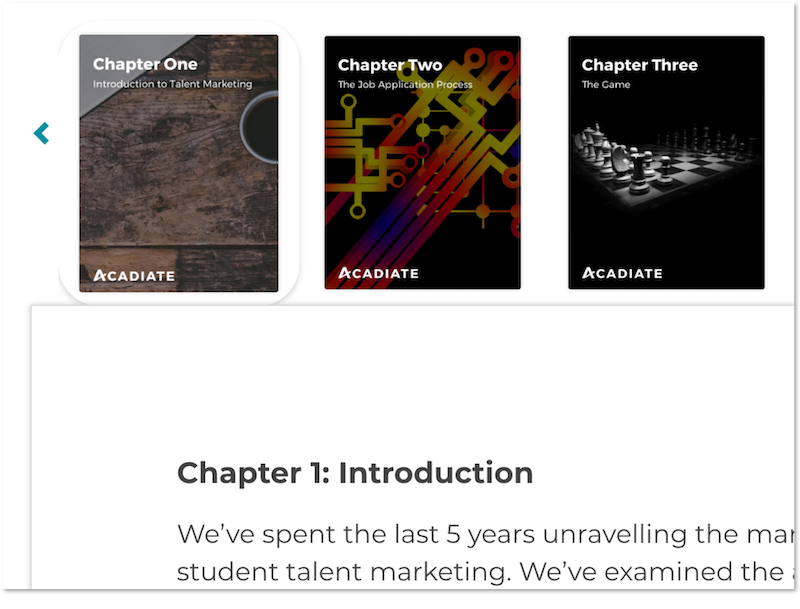 On Acadiate, you can develop your talent marketing as quickly or slowly as you'd like. Acadiate helps you keep your edge and progressing in the right direction. It's easy to get wrapped up in the day-to-day activities of your job. Acadiate keeps you focused on the bigger picture and helps you reflect on the things that will push your career forward. You never know when your next opportunity will come up. If you aren’t ready, these opportunities can pass you by. Acadiate ensures you are always capturing your value so you can project it when you need to. You offer far more value than your job description. The problem is that your coworkers may not see it. 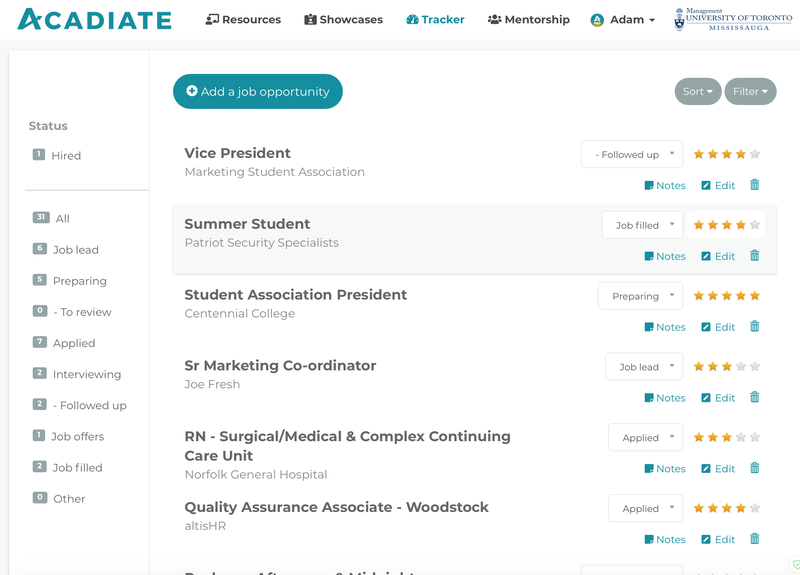 You can use Acadiate to give your coworkers greater insight into what you offer. Acadiate's Showcase shows employers what you truly have to offer. 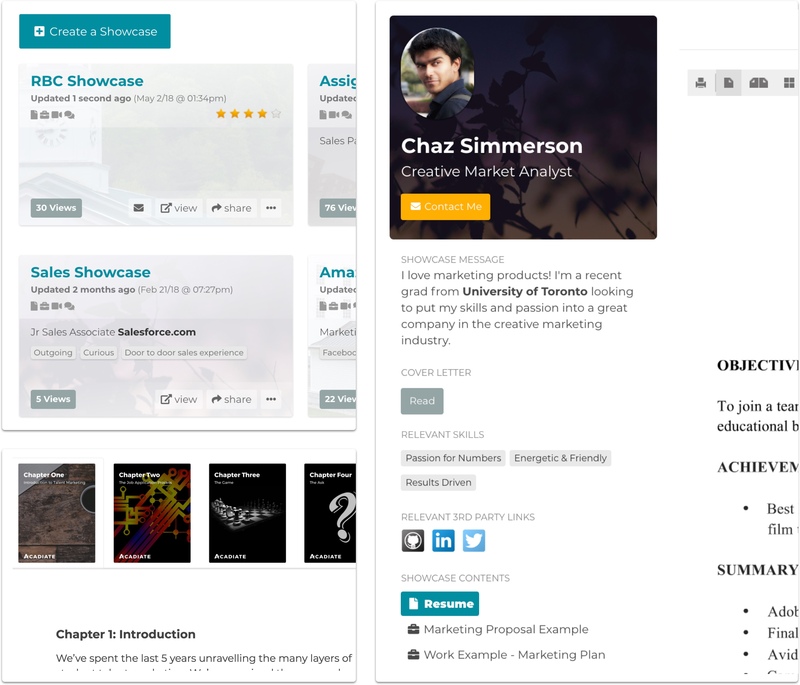 Include resume, cover letter, work examples, awards, video intros, references, and more. Learn the ins and outs of talent marketing. Why it matters, why it's so difficult, and how you can stand out. Stay organized in your job hunt. Acadiate's Showcase can help you get into the best programs. Go beyond the application requirements with the Acadiate Showcase. Capture, benchmark, and market your career development progress. Used by thousands of professionals and trusted at globally recognized universities. "I couldn't have won my dream job without Acadiate." "After 3 years of looking for a job - within a month of using Acadiate I was hearing back from employers and secured my dream job!" "I was starting to lose faith in my experience and education. With Acadiate I realized I was just positioning it incorrectly. I've now got the perfect job for both my education and experience." Video will go in here. We respect your privacy. We'll never sell your email address to advertisers or other 3rd parties.